Welcome to another free pattern feature, my kittens! These patterns are not created by me, but by other very skilled and creative crochet artists who offer some of their hard work for free use! 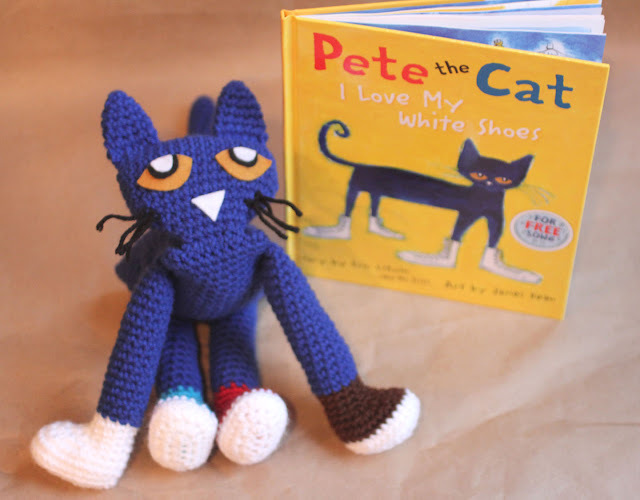 If you’ve ever read any of the Pete The Cat children’s book, you know that his stories are adorably whimsical and sweet. This pattern lets you create a perfect cuddle mate to go with the books!